Kelsey Chapman and I met two years ago and became fast friends. 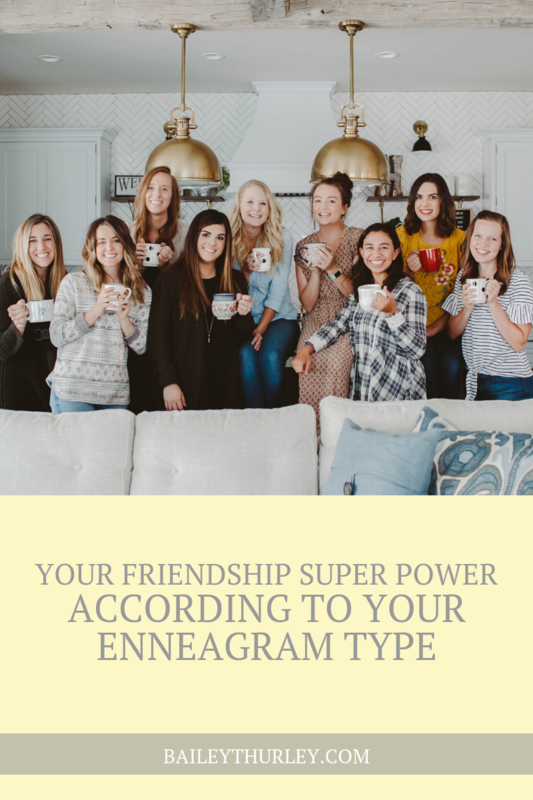 As our friendship grew, we learned a lot about one another and how to make the friendship last and one of our greatest tools was the Enneagram. The popular Enneagram assessment helps you identify with one of nine personality types that reveal patterns and motivations for your day-to-day health. It is also a great way to understand how you relate to other personality types by highlighting potential conflict areas and affirming your greatest strengths in community. To serve you and your friendships, we have created summaries to continue your growth as a friend and your ability to love your friends well. If you’ve never taken an Enneagram test we recommend doing so before you read further. We hope you feel well-represented, appreciated and encouraged! Ones, you are instinctively loyal, reliable and someone your friends can count on to be honest and authentic with them. When you say you will do something, you follow through. You invest the time to make a friendship work and you create space in your schedule to maintain long-distance friendships. Intentional is your middle name. Reciprocate their efforts from time-to-time by planning a special friend date for the two of you. You are empathetic, anticipate your friends’ needs, and listen well. There is joy in helping your friends and giving them the extra boost to believe how awesome they truly are. You have an intuitive sense when a friend is hurting and your compassion for your friends’ is like no other! When they are going through a hard time, don’t let them deflect their emotions to focus on you. Give them the opportunity to be heard and cared for. Threes, you enjoy seeing your friends achieve their goals, realize their potential, and walk confidently in their calling. You are a master at connecting people and have a large capacity to maintain multiple friendships at one time without much trouble. Your friends appreciate that you bring out the best in them and believe in them—you are their greatest cheerleader. Challenge them, push right back, and get excited about their new goals. You are a comfort and safe space for your friends because you foster healthy communication and vulnerability. They can be their darkest, true selves with you and it does not affect the way you love them. Fours, you are an idealist, so you can dream with your people without limit and champion them in their creative endeavors. Be open and real with them. They are willing to go deep with you, so don’t hold back from the friendship. Fives, you thrive off of learning new things about your friends and storing them away in your memory bank. Your curiosity and natural bent towards “knowing all the facts” allow you to ask intentional questions to make your friends feel fully known by you. You are never clingy because you know your boundaries in friendship. These friends love to discuss a topic in depth so, engage in conversation that is open-minded and well thought out. Also, take some mental notes to follow up with them on it later to show them you remember important things about them too. You carefully enter into friendships but once you do, you are in it for the long haul—even conflict doesn’t scare you away from continuing a friendship. Once you feel comfortable with a group of people; you are playful, energetic and breath life into your friends. Everyone wants to win your trust because you stand by your friends through the ups and downs. They can easily measure who is a genuine friend or not so, try to be honest with them and remind them of your commitment to the friendship. Sevens, you are a gift to your friend circle with your ability to include others and help everyone have fun. Since you see the positive aspects to life, you also notice the positive aspects in your friends and aren’t afraid to tell them. 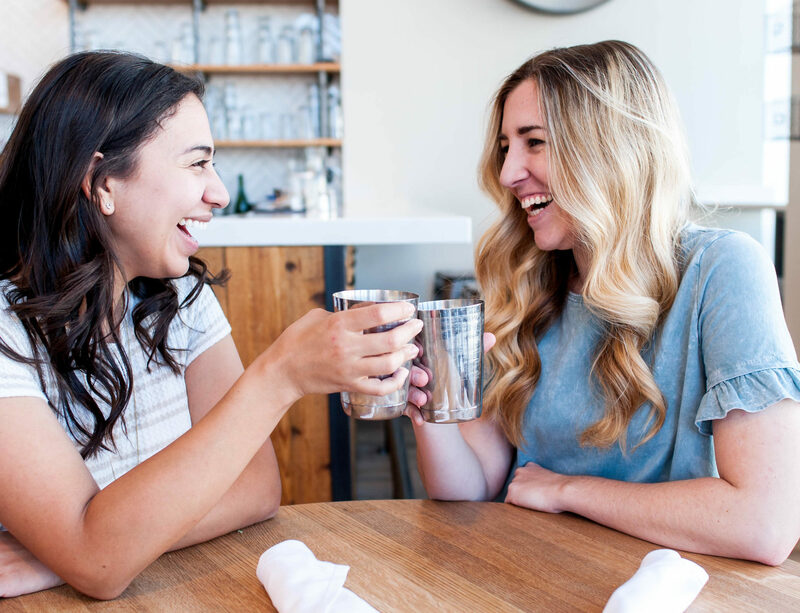 You thrive off of friend time which means you are always looking to connect with your friends—your schedule is always open for quality time. Say “yes” more often when they initiate friend time and be prepared to show just as much enthusiasm over their endeavors, as they do for yours. You intuitively see the potential in your friends that they often overlook, and you aren’t afraid to challenge them to reach their full potential. Your friends appreciate your consistency and faithfulness to the friendship—flakiness is not in your vocabulary. Some may say you have an assertive presence, but your friends will never feel afraid to confront you and grow with you. Invite them to let their softer side show! It may take some time to build that trust, but they will appreciate having a friend that allows them to be tough and vulnerable. Nines, you are the best at meeting your friends where they are and seeing their point of view. You are compatible with almost any personality type because you can adapt to others and be just as passionate as they are. You create open dialogue, a nonjudgmental space and a peaceful environment for your friends to be themselves. Identify and draw out the unique things about your Type 9 friends so that they can also have the freedom to be their true selves. Kelsey is a brand and business strategist, the host of the Radiant Podcast and an all around awesome friend. She identifies as a Type 7 and from personal experience, she is so great at creating intentional friend time for the two of us. We live an hour apart and she still makes trips to Denver to see me on a regular basis. Kelsey offers a variety of online courses as well as, business retreats for women who are wanting to see results in their endeavors. 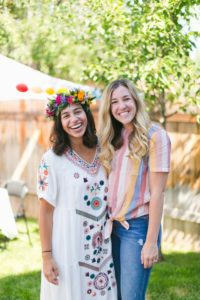 You can connect with Kelsey at her website or through Instagram @kelschapman. This is fantastic! The link in the newsletter appears to be broken but I’m so glad I persisted in poking around til I found it. It is 100% accurate for me, a 1, and that scripture is exactly what I need today. Thank you! Glad the Scripture spoke to you today! By clicking "Sign Up," you are agreeing to the terms and conditions.